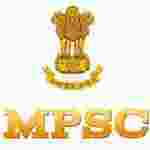 Mizoram PSC Lecturer recruitment 2016-17 notification apply for 3 posts : Mizoram Public service commission (MPSC) welcomes application for the position of 03 Lecturer (MCON) vacancies. Candidates who completed their Master Degree in Nursing is a good opportunity.The individuals who are the occupation seekers searching for govt employments in Mizoram this is the best chance to apply. Competitors read the official notification then read all the guidelines and miners precisely then apply before the last date online application got. All the interested and eligible candidates can apply before 29th July 2016. Candidates Age Limit: The age of the candidate should not be less than 18 years and should not be more than 35 years. The age of the applicant should be as on 1st July 2016. Academic qualification details: Candidates should have 1st class Master degree in Nursing in the appropriate line of specialty from a recognized university. Details of Fee particulars: All the interested and eligible candidates are need to pay application fee Rs 320/- for general categories candidates and Rs 270/- for schedule caste categories candidates (SC) / schedule tribe categories candidates (ST). Applicants should be paid by cash at the reception counter of Mizoram public service commission office or by depositing into the treasury under the head – 0051 – PSC, 102-state PSC (Examination fee etc.) or by un-crossed Indian postal order (IPO) drawn in the favor of Secretary, Mizoram public service commission. Process of applying for the job: All the interested and eligible candidates can send their application along with attested copies of IPO / Challan form . HSLC certificate / mark sheets / caste certificate and other relevant certificates to the office of Deputy commissioner, Mizoram Public service commission, New Secretariat complex, Aizwal on or before 29th July 2016.